Or 6 payments of $11.50 with What's this? The Shea Puffer Vest is a classic winter style. Made to be warm and durable while still ensuring a quality smart-casual look, ideal for cold weather layering. Made with a natural curved back hem for extra coverage. Measurements are indicative. It is recommended to compare measurements against a garment you already fit. Fit - To get the best possible fit, please measure all the way around your chest, and refer to the size chart. 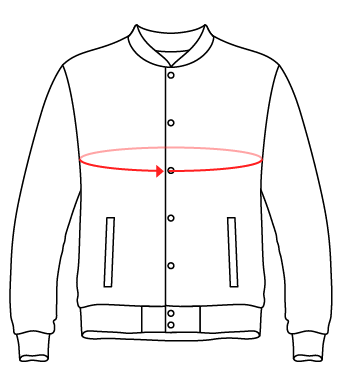 If you like layering coats with jumpers, blazers or suits maybe consider going up a size so you can fit the layers under the coat more comfortably. Chest Width: The circumference of the shirt from the armpit points and around.